In the centre of this magnificent platinum ring is a round diamond. 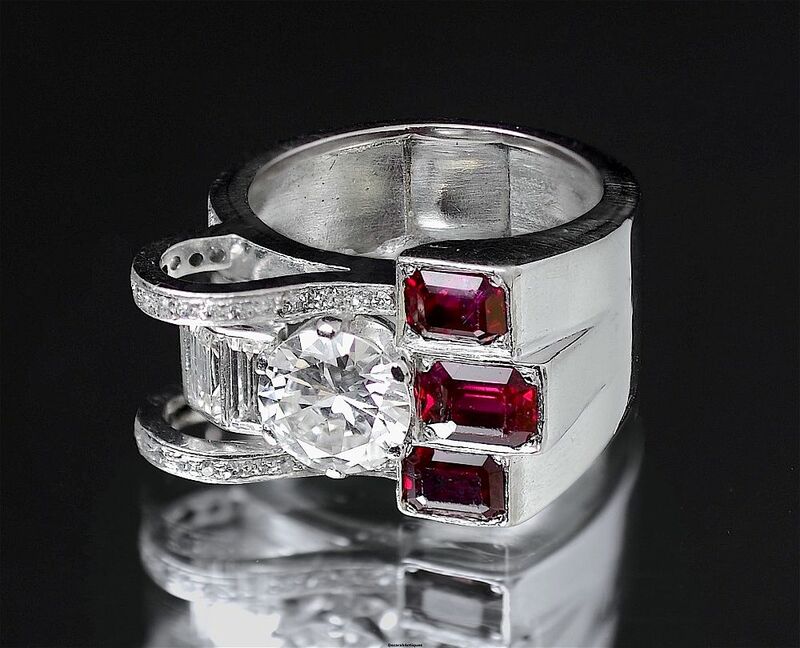 On one side are 3 rectangular rubies in rubover settings and on the other side are 2 baguette diamonds beneath 2 platinum diamond set arms that sweep up from the shoulder above the baguettes. There is a broad platinum shank that has a rubbed mark on the outside of the shank.